Just this morning we were talking about Alex Rodriguez fighting his battles through the media. 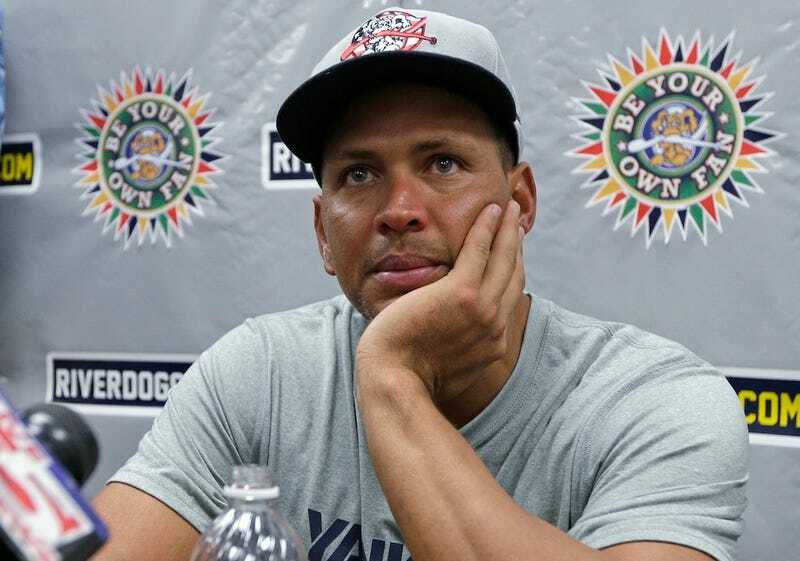 This afternoon, A-Rod's doctor went on the radio and declared, contrary to the Yankees' statements, that Rodriguez isn't injured, and is ready to play. At the end of a rehab stint before returning to the major, Rodriguez received an MRI exam that the Yankees' team doctor said revealed a Grade I quad strain. The recommendation: rest, more rehab, then, if there's any season left, maybe a call-up to the majors. Rodriguez sought a second opinion, though, from Michael Gross, director of the Sports Medicine Institute at Hackensack University. Gross went on Mike Francesa's show today—with Rodriguez's permission—and told the world that he didn't find anything wrong with A-Rod's quad. According to Jon Heyman, "the Yankees are now in the process of finding Gross," which seems like it'd be as easy as asking WFAN for his number. Rodriguez's health is worth a lot of money to the Yankees. If he doesn't play this season, insurance will cover up to 80 percent of his salary. So there's every reason for Rodriguez to distrust a Yankee diagnosis that puts him back on the shelf. But then, how to explain that it was A-Rod who initially brought the sore quad to the Yankees' attention? The Yankees were exploring the possibility that Rodriguez was in violation of baseball's Collective Bargaining Agreement by seeking a second medical opinion without notifying the club first, a source said.